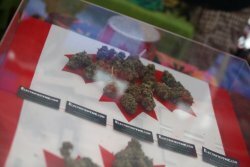 New information last week from GMP Securities, an independent investment dealer based in Toronto, is leading analysts in Canada to suggest that the adult-use legalization market in the Great White North will be even greater than previously suggested. The new estimations also indicate that production will finally outpace consumption around 2020, leading to lower prices for the consumer. “Landry says he expects edibles could comprise a total of forty per cent of all cannabis cosumed in Canada, noting that this is the mix in Colorado since 2016. He says the HESA amendment to Bill C-45 that ensures the availability of edible and concentrated forms of cannabis was the other development that changed his estimate on edibles from 30 per cent of the total market to 40. I expect revisions for market estimates will continuously be revised between now and 2020, but I’m looking forward to that market drop. In the meantime, there’s still a lot of room for growth in the production and sales sectors in Canada, so be sure to pay attention! Stay tuned in to the International Cannabis Business Conference for all your current and future cannabis industry questions! Our next event is on the beautiful island of Kauai, Hawaii on December 1-3. Then we’ll be hitting San Francisco in February, Berlin in April, and finally back round to Vancouver, Canada on June 24-25, 2018. Get your tickets today, and we will plan to see you there! This blog was previously published first by the International Cannabis Business Conference. It has been posted here with special permission.